Tyler, the Creator who received his first Grammy nomination for his fourth studio album Flower Boy had a series of collaborations with Converse ranging from a creative interpretation of the One Star to the release of his own GOLF le FLEUR sneakers in 2017. Jump into 2018 and the 26-year-old shows no signs of this vibrant energy burning out. Neither does the GOLF le FLEUR. Today, after much anticipation, Tyler, the Creator and Converse reveal the latest iteration of the GOLF le FLEUR. His signature suede sneaker comes in three bold pastels to kick off the year– geranium pink, bachelor blue and jade lime. 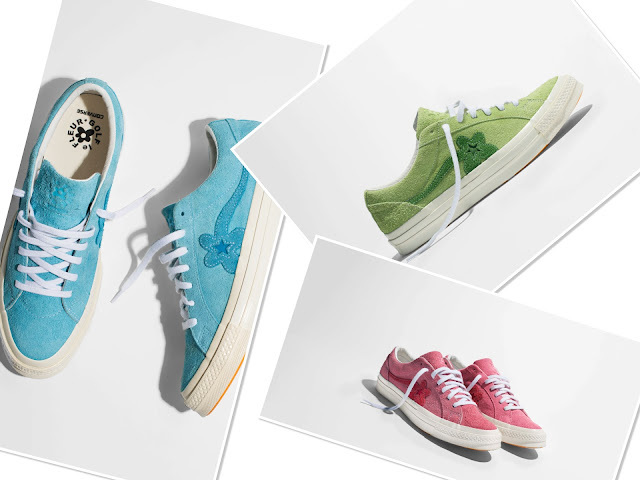 The GOLF le FLEUR is available for a retail price of Php 6,550 at Converse Glorietta, Converse Greenbelt and Converse Commonwealth . The collection also continues to see Converse Essentials apparel delivered from the two brands. 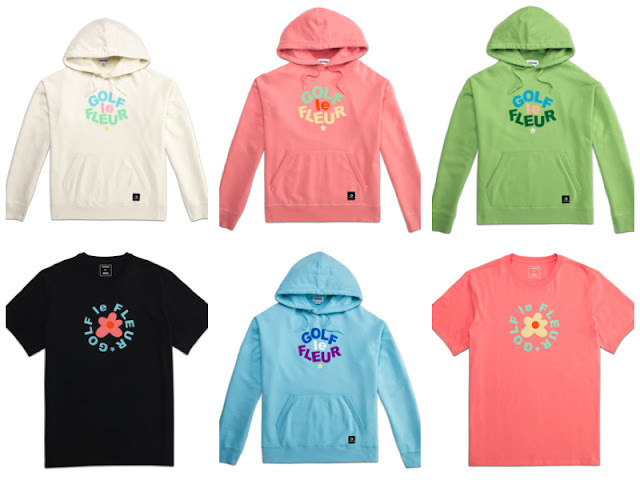 The legacy French Terry Converse Essentials Hoodie, which retails for Php 4,910 features the GOLF le FLEUR logo and is available in four complementary color ways – jade lime, peach pearl, clear water blue and egret. Cotton Jersey Converse Essentials tees come in Hawaiian ocean blue, black, peach pearl and white for Php 2,110 exclusively available at Greenbelt and Commonwealth.